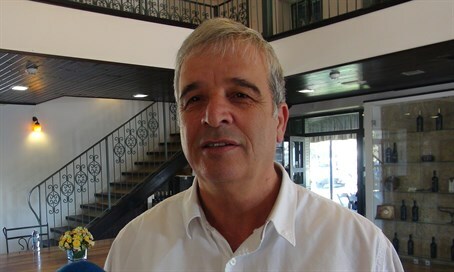 Avi Roeh, head of the Yesha Council in Judea and Samaria, on Sunday called on Prime Minister Binyamin Netanyahu to implement Israeli sovereignty over Judea and Samaria precisely during the current Arab terror wave. Roeh was paying a visit to the protest tent outside the Prime Minister's Residence in Jerusalem, which was established by the Women in Green grassroots activist movement to demonstrate against the government's inability to quash the terror wave. "I call on Prime Minister Binyamin Netanyahu and the Israeli government - the time has come for sovereignty," declared Roeh at the tent. "It is impossible to ignore the historic moment we are currently in, when the international community, the Europeans, the Americans, understand that the concept of 'two states for two peoples' is a particularly unsuccessful idea," he said. According to Roeh "this is the right time to take a significant, historic decision for the nation of Israel." "We call on the Prime Minister, be strong to implement sovereignty in Judea and Samaria. In this way you will be remembered as the one who implemented sovereignty, as the one who widened the borders of the state of Israel to the legitimate borders that we reached in blood," he said, noting on how the region was liberated in the 1967 Six Day War. "We are 50 years after the Six Day War, and the time has come for an Israeli leader standing at the head of the Jewish state to decide to implement sovereignty on the territories of Judea and Samaria," emphasized Roeh. "In this way, we will remove the tension that the Arabs have kept in Judea and Samaria from any ideas of an additional state and they will work on the education of their children, economy, welfare and not terror that doesn't bring them anywhere." Regarding Israeli sovereignty in Judea and Samaria, there have been calls recently on the government to adopt the 2012 Levy Report, which proved the Jewish presence in the region is legal according to international law. The report would be a logical first step in implementing sovereignty. Despite having been commissioned by Netanyahu, two consecutive coalition governments headed by him have yet to adopt the Levy Report, leading many to ask why the ostensibly right-wing government is not taking action on the report. The Levy Report was raised again three weeks ago by Justice Minister Ayelet Shaked (Jewish Home), who ruled out its adoption as "impossible" at the current time.